The Raiders plan to exercise Joseph's fifth-year option for 2020, Eric Branch of the San Francisco Chronicle reports. 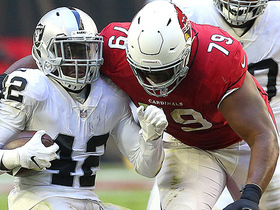 Analysis: Joseph started the 2018 season on a low note by playing a mere 11 defensive snaps through the Raiders' Week 7 bye, but he finished the season starting the final eight games. The 25-year-old had 48 tackles (34 solo), two sacks and one interception, and he apparently showcased enough of his potential for the team to pick up the option. However, the money doesn't become guaranteed until after the 2019 season. 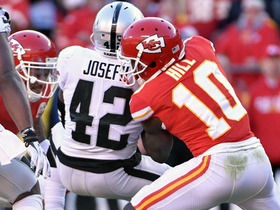 Joseph accrued four tackles (three solo) during Sunday's 35-3 loss to the Chiefs. Joseph recorded seven stops and a sack Monday in the Raiders' 27-14 win over the Broncos. 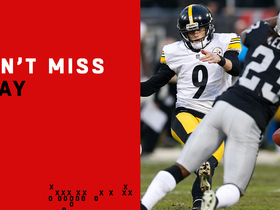 Analysis: The third-year safety is closing out the season on a strong note, as he posted the same statistics in the Week 15 loss to the Bengals. His 44 tackles for the campaign are still well off the pace from his totals in 2017 (79) and 2016 (60), however. Joseph recorded eight tackles (six solo), including a sack, in Sunday's loss to the Bengals. Analysis: Joseph's sack was the second of his career and his first this season. His eight tackles also tied his season high. He'll look to continue his quality play in Week 16, when the Raiders face off against the Broncos. Joseph recorded five tackles (three solo) and an interception in Sunday's win over the Cardinals. Analysis: Joseph has had a lackluster year thus far, but his performance Sunday was his best of the season. His interception was his first pass defensed through seven games and his five tackles tied a season high. Joseph will aim to continue the solid play into Week 12 when the Raiders face off against Baltimore. Joseph (hamstring) was a full participant in Wednesday's practice. 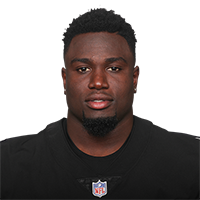 Analysis: Joseph missed Oakland's previous three games while dealing with a hamstring issue, though he looks to be fully healed coming off a bye week. While the 2016 first-round pick should be available Sunday against the Chiefs, he's no longer on the IDP radar after falling into a reserve role. The Raiders are actively shopping Joseph (hamstring), their first-round pick from two years ago, Fox's Jay Glazer reports. Analysis: New coach Jon Gruden has been cleaning house since arriving, but he's not done with the makeover. Amari Cooper also apparently is in his doghouse. Joseph is inactive for Sunday's game against the Seahawks due to the hamstring issue, but his impact has been limited even when he's healthy this season, playing only 11 defensive snaps through the first three games prior to the injury. Joseph (hamstring) has been ruled out for Sunday's game against the Seahawks. Analysis: Joseph will miss a third consecutive contest with the hamstring issue, so Reggie Nelson and Erik Harris should continue to split work at safety next to Marcus Gilchrist. Joseph (hamstring) is listed as questionable for Sunday's game against the Seahawks. Analysis: Joseph was limited in practice throughout the week after missing each of the Raiders' past two contests with a hamstring injury. He's logged just 11 total defensive snaps this season, so it's unclear if Joseph would immediately return to a starting role at strong safety. Joseph (hamstring) has been ruled out for Sunday's game against the Chargers, Michael Gehlken of the Las Vegas Review-Journal reports. 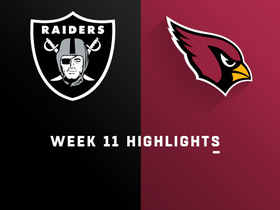 Analysis: Joseph played just 11 total defensive snaps in the Raiders' first three games of the season before being sidelined with a hamstring injury, which kept him out of Week 4's overtime win over the Browns. During Joseph's absence, expect both veteran Reggie Nelson and fellow safety Erik Harris to see an uptick in snaps. Joseph (hamstring) is ruled out for Sunday's game against the Browns, Paul Gutierrez of ESPN.com reports. Analysis: Joseph's absence was expected, given that the starting safety was unable to participate in practice this week. Erik Harris will slot into the starting lineup as long as Joseph remains sidelined. Browns rookie quarterback Baker Mayfield will look to exploit a vulnerable Oakland secondary in his first NFL start. Joseph (hamstring) didn't participate in Wednesday's practice, Scott Bair of NBC Sports Bay Area reports. Analysis: Joseph wasn't expected to practice this week, and it's unlikely he plays Sunday against the Browns. His absence will bump Erik Harris into the starting strong safety role and could open things up for Browns' rookie QB Baker Mayfield in Week 4. Joseph (hamstring) is expected to miss at least one game, Scott Bair of NBC Sports Bay Area reports. Analysis: Joseph left Sunday's game at Miami in the first half and didn't return, and now it seems he'll be out one week at the minimum. Though he hasn't filled up the stat sheet thus far in 2018, the 25-year-old safety is an integral part of Oakland's defense, and his absence is a blow to the 0-3 team. Erik Harris is expected to fill in for Joseph for at least the immediate future. Joseph is ruled out for Sunday's game at Miami due to a lower leg injury, Paul Gutierrez of ESPN.com reports. Analysis: Joseph suffered a lower leg injury in the first half of Week 3's game and has been replaced by Erik Harris. Expect an update on Joseph's health after the contest. Joseph (groin) rejoined his teammates at practice Tuesday, Scott Bair of NBC Sports Bay Area reports. Analysis: It's not a huge surprise that Joseph is back on the field and ready to contribute considering his injury wasn't that serious. After starting 15 games for the Raiders last season, the third-year defensive back is slated to retain a starting safety spot for the club in 2018. Joseph is dealing with a groin injury, but head coach Jon Gruden hopes he will be back Tuesday, Vic Tafur of The Athletic Bay Area reports. Analysis: Given that Gruden is optimistic Joseph could be back at practice as soon as Tuesday, it doesn't look like the cornerback's groin injury is being viewed as a very serious one. Joseph should be considered day-to-day until the Raiders are able to provide another update. Joseph notched 79 tackles (58 solo), one sack, four passes defensed, one interception, one forced fumble and one fumble recovery in 15 games during the 2017 regular season. 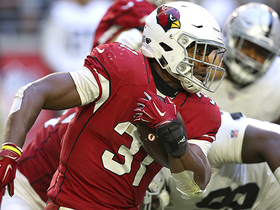 Analysis: Joseph, a 2016 first-round selection, played nearly 300 more snaps during his second season in the league after appearing in 12 contests as a rookie. The Raiders' starting strong safety didn't put up any eye-catching numbers in 2017, but likely stabilized his role in the secondary with two years remaining on his rookie contract. A minor hamstring injury during Week 17's loss to the Chargers ended Joseph's campaign a bit early, but the issue shouldn't linger into the offseason. Joseph (hamstring) was ruled out for the remainder of Sunday's game against the Chargers. Analysis: Joseph exited in the first half with the hamstring injury and was originally deemed questionable to return. Rookie Shalom Luani has stepped in at safety for the Raiders. Joseph is questionable to return to Sunday's game against the Chargers with a hamstring injury, Michael Gehlken of the Las Vegas Review-Journal reports. Analysis: Joseph sustained the injury in the first half of Sunday's game and was able to walk off the field under his own power. Rookie Shalom Luani has replaced the 24-year-old at safety for the Raiders. Joseph had three solo tackles, one pass breakup and one interception in Sunday's loss to the Chiefs. Analysis: Joseph's production has dropped off in the last five games, as he's averaged just 4.5 stops per contest during that span as compared to 6.6 tackles over his first seven contests. 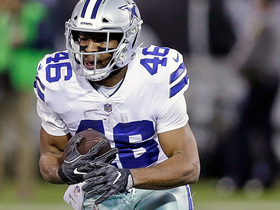 He'll likely have to rely on tackles for fantasy value in Week 15 against the Cowboys, since QB Dak Prescott has protected the ball well this campaign. Joseph (groin) is active for Sunday's game against the Dolphins. Analysis: Joseph was limited in practice all week, but will suit up for Sunday night's game in Miami. He will look to cause disruption for Jay Cutler and the Dolphins offense. 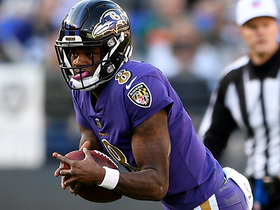 James (groin) is listed as questionable for Sunday's game against the Dolphins. Analysis: Joseph was unable to progress beyond limited participation in practices this week, so his status for Sunday remains up in the air. With 46 tackles, one sack and a fumble recovery through seven games, the second-year safety has emerged as a viable IDP option in the secondary. Head coach Jack Del Rio expects Joseph (groin) to practice Wednesday, Michael Gehlken of the Las Vegas Review-Journal reports. Analysis: Del Rio added that Joseph's status for Sunday's game in Miami is still up in the air. Thankfully, Joseph's activity level in practice the rest of the week will shed more light on his potential availability. 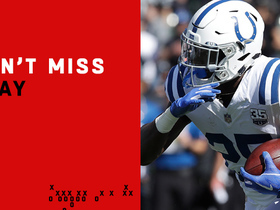 Indianapolis Colts running back Marlon Mack rushes for a 49-yard gain. 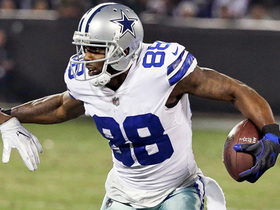 Oakland Raiders safety Karl Joseph stops Dallas Cowboys wide receiver Dez Bryant for a loss of 4-yards. Dallas Cowboys offensive line clears the way for running back Alfred Morris who rushes for 12 yards. 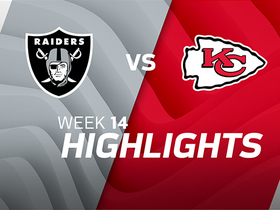 Alex Smith gives ball right back to Raiders, Karl Joseph gets interception.